Pokémon fans, the type chart is about to get a shake up. During its E3 Nintendo Direct presentation, Satoru Iwata announced that Pokémon X & Y will feature a brand new type of Pokémon: Fairy. Super effective against Dragons, several existing Pokémon have been reclassified under the type. Jigglypuff, Marill, Gardevoir and newcomer blue-eyed Eeveelution Sylveon will be the first to show off the new abilities. In addition, there's a new virtual pet-like mode, Pokémon-Amie, through which you can boost your relationships with your favourite creatures. By stroking them on the touch screen or imitating their facial features via the 3DS camera, you and your Poké-pals will be closer than ever before. 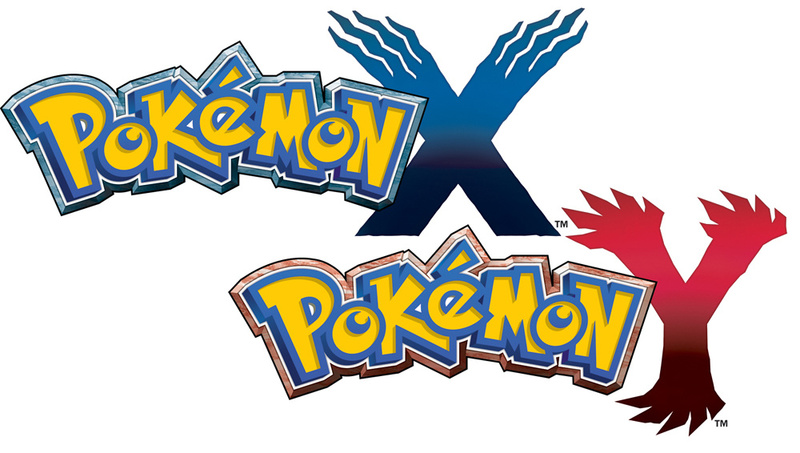 Pokémon X & Y will be released worldwide on 12th October 2013. Stick with us to learn more — remember, there's a Pokémon Direct presentation soon. @Haxonberik and @EvisceratorX, you guys are not super smart or anything. It was pretty obvious Sylveon would be a new type when there was a ? shown for it's typing. The whole world was expecting a new type. Since the new Eevee is Fairy, the second Eevee they introduce this gen HAS to be Dragon. No exceptions. Cool, Should help change up the gameplay a bit! The OU tier shall welcome some of the new and reclassified Fairy type Pokemon. New Pokemon type was the most exciting thing for me out of all the Direct presentation, we have not had one in over a decade! I sure hope someone picks up that phone. Cause I F--king called it! Anyways. Cool news about that fairy type, I'm glad about the confirmation. Watch out Dragonite here comes Jigglypuff! Not sure I like this new type, it'll probably grow on me. Wasn't really hoping for a new type, it's gonna be a bit of an odd change but whatever. I'm not complaining. I guess I was looking forward to potentially a Flying type Eeveelution too mich, but I guess the evidence for a new type was already on the table. @DarkCoolEdge Dragon really did need some rebalancing especially after the most recent generation. This is essentially the same thing they did to balance out psychic type back in Gold and Silver. I think is a bit late for a reclassification of species. It had be done in 4th gen. I was dieing hysterical laughing when they showed new Pokemon type: Fairy. Sylveon being a fairy is hilarious to me. Fairy type is okay with me. It suits those four shown pokémon perfectly in my opinion. Fairy type?!? What the deuce? If I get it, I won't play it in public just because I won't want to be seen trying to imitate my poogeymanz. @Ernest_The_Crab I think that is fair enough. Dragon has always been overpowered but last gen had a good addition of dragons, especially legendary, and every one besides Altaria, Kingdra, and Flygon is unquestionably powerful. I guess it is like Psychic being broken in the first gen at this point. Does anyone else think that the Pokemon-amie looks exactly like a mod of the KH 3D Dream Eaters interaction? finally, now i can finally WIN against dragons without using level 100s!!!! Fairy?! NO NO NO NO NO NO NO NO NO NO NO NO NO NO!!!! Especially should NOT be super effective against bloody dragons! Why does everybody hate this so much? Everything has to change,DEAL WITH IT. @Kaze_Memaryu No light wouldn't make any sense at all actually. Dark made sense because they had clear differences from the other Pokemon (such as Evil) however the term "good" which you are thinking here is even more ambiguous than Evil. Light also has problems with what makes it a clear type. Will it glow? Many fire types and electrical Pokemon already have that trait. Are they white in colour? Same problem. As a result, there are clearer portrayals of things that are "evil" in media versus things that are "good". Fairy will most likely cover the smaller Pokemon that fall under the different media portrayals of what fairies are. Probably, won't hurt that some Pokemon are already classified as "fairies". A "Light" type will never happen, guys. Here's why: "Dark" is just the English translation. The actual Japanese name for the dark type is closer in meaning to "Trickster", "Cheater", or "Dirty fighter". @Nobodys_Angel That is awesome. I never knew that. I did know the Dark type trickster part though. But everything else makes Pokemon sound that much more awesome. well..im certainly surprised! really, did not expect all those fairy type rumors to be true. A welcome shake-up but the inevitable jokes are going to be unbearable. Ooooooh... (Ö_Ö) That game will be mine! @Wii_Win You know certain Pokemon have the ability "soundproof", right? Such a type would render those moves ineffective. Plus, sound isn't really my idea of an attacking type. The "Fairy" type's original Japanese is probably closer to "mysterious", "elegant", "charming", "enchanted" or "whimsical". Almost any one of these definitions seem to fit the given Pokemon so far. I like this change more than I expected. I can only imagine people who don't battle competitively wouldn't like it. Dragons are pretty much steamrollers this gen. I'm more interested in thier resistances and immunities though. UGHHHHHHHH, my hype was almost gone when I read "super effective against dragons", you freaking kidding me????!!!!! ; ok game freak, you're f*cking with me saying that a pink gay ball can NOW DESTROY something as fearsome and awesome as a ZEKROM, an HYDREIGON, a DRAGONITE or a SALAMENCE???? REALLY????!!!!! "Whoa! The Helioptile you stepped on attacked!" What?! You sometimes start battles by trodding on a wild Pokémon?! @Nobodys_Angel IK, sorry for raging. I just don't really see how this fits in with the types given so far. It seems like a psychic-normal hybrid. You could see light as a reperesentative of 'divinity' or 'justice'. Also, by your argument, ice would be pointless as well, since it's just cold water. It's just that fairies are faires. You can't do much except thinking of little flying magical things, and that's a bit too specific for an entire type in my opinion. It just doesn't fit. GAMEFREAK YOU RUINED IT. FIX IT! MAKE SYLVEON A FLYING TYPE DAMN YOU! People: What?! Fairy type?! Oh my gosh, this COMPLETELY ruined the game for me! N-not that I actually played the game, b-but I assure you, a fairy type Pokemon is just WAY too childish for such a mature game, and mature gamer, like myself! RUINED! POKEMON IS OVER! Good, then go join the people who think Wii Fit Trainer is a bad addition, while people with an open mind can actually enjoy our games. People: DAYM YOU GAYMEFREAK! YOU JUZT RUIIIIZBNED MEI POKAMOWN X AND Y! I'N NOWT BUYRING NAUW! Me: Please work on your grammar,And go back to playing your gay Call of Duty while I get back to playing Games that are worth the wait. @Kaze_Memaryu It does fit due to mythology. Dragons are well known to be taken down by fairy forged weapons and fairy magic in regards to myths and legends. Also, define justice and divine. We already have gods in the game, in case anyone has forgotten; all of them being legendary. Look at every ice pokemon to date, they have ice based traits except for the hybrids which take more inspiration from their other type. Nobodys_Angel already covered in their post why a "light/justice" type will not be created. It already exists as the fighting type. The "dark" type name is actually a poor translation on NoA's part. The games are also based off the Japanese version of the game so NoA and Europe aren't suddenly gonna pull out another type out of their behinds especially in regards to balance. A lot of things are lost in translation and frankly NoA should probably have done a better job translating back during the Gold/Silver generation. However, since the name has now stuck they can't really do anything about it I guess. I'd like to emphasize again to everybody this isn't something that was just made up on the spot by Gamefreak, there is actual mythological basis behind Fairies beating Dragons. @Nobodys_Angel Yeah, I've known that for years that the Dark type referred to fighting dirty just from the descriptions of Dark type attacks (with the exception of Dark Pulse), although I'm still waiting for a Dark type attack called something like Groin Kick that'll do double damage against male opponents. I bet that Moonlight and Cosmic Power will be reclassified as Fairy type attacks, despite the fact that it would be just as pointless to do so with those support moves as it was when they reclassified Sand Attack as a Ground type attack. Okay, what does fighting have to do with justice? It's about physical strength, martial arts and stuff, but not connected to alignments. Some Pokés like Toxicorak would fit @Nobodys_Angel 's description of dark types much better. And why does he even think a light type would HAVE to fit in that triangle? It doesn't have to be connected to that. Also, while I see the mythical connection, it's not only vague, but just a possibility as well. Fairy weapons played a role in some mythical stories about dragons, but so did the light, as dragons were often labeled as dark or evil creatures, thus requiring holy or rightful powers to kill them. Lastly, balance isn't even an argument in Pokémon games. It's not about balance, it's about wthe circle of life, or habitational abilities. @Kaze_Memaryu I'm just saying a Light type won't happen because it doesn't need to happen. There is no "Dark" type in Japanese: just a "Malicious" type. Because NoA has little to no say in the games (and because there really isn't a need for such a vague type), Light might never actually happen. Legends first: we don't need to look any further than the King Arthur legends, and the character of Morgan le Fay, (a transliteration of the French "La fée Morganne", Morgan the fairy). She is Arthur's half-sister, the aunt (or, in modern interpretations, mother) of Mordred, who kills Arthur. She is, in other words, human...but she's also a powerful magic user, an enchantress, and that's what earns her the name of fay. This doesn't apply only to legends: we can look at theater, where no one less than William Shakespeare present us with his take on fairies in A Midsummer Night's Dream. The characters of the king and queen of the fairies, Oberon and Titania, are central to the work, and given that Titania having a mortal man for her lover is a significant plot element, we can safely assume she's not meant to be a Tinker Bell-sized character. Much more recently, we have fantasy literature. Many authors have depicted fairies in their fantasy stories. But we don,t need to look any further than JRR Tolkien, the author of Lord of the Rings and father of modern fantasy. Tolkien's own stories certainly had no bug-winged diminutive magic users, but the term he used to refer to his own genre was fairy-stories. To him, faerie meant the world of enchantments, magic and legends, in opposition to the mundane world (to Tolkien, in fact, dragons themselves were very, very much part of faerie). His stories involved a character crossing from the mundane to faerie, thus they were fairy stories. What these characters and definitions have in common; and what they share with Tinker Bell and Navi, is not diminutive size or bug wings: it's that, at its heart, fairy, fay and faerie are all about otherness and magic, the things that are outside the normal world. That includes things like Tinker Bell and Navi; but it goes far beyond that. In essence, it's probably much better to think of the fairy-type as a magic- or spirit- type than as a Tinker Bell type. Taken that way, fairy sound less "stupid" and more like a very interesting addition to the type array. And I'm sure I don't need to point out that magic being strong against dragons is not really a new idea. TL:DR: Light doesn't exist as a type because it doesn't need to, and Fairies are more of a magic type. Typically, it's magic that kills dragons. @Nobodys_Angel Thank you. Also, didn't know Bulbapedia had an entry already. I'm off to take a look then, sounds interesting. Finally! Xerneas and Yveltal in action and new footage!! Soooooo... simply put, fairy type is supposed to represent mystical or magical deities of the enchanting kind? I guess this does make it more fitting... but I still don't like it.